Viewing 24 of 893 items. 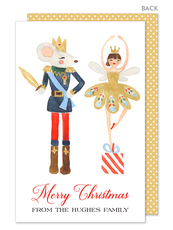 Make sure your gift stands out this holiday season with this set of holiday gift stickers. 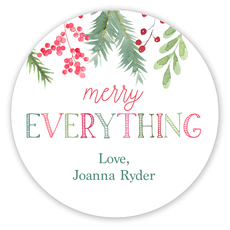 Gift stickers are approximately 2.5" diameter. Flat-printed with ink color and typestyle as shown. 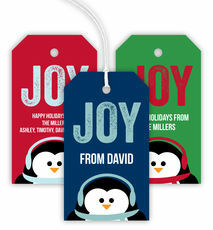 Easy..
Add your personal touch to your Holiday gifts with this set of paper gift tags. Sized 2" x 3.5". Your choice of design color. Flat printed in ink color and typestyle as shown. Positioning only as.. 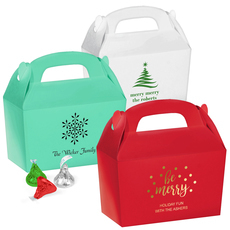 These personalized gable boxes are perfect to hold a favor or small gift at your holiday party. 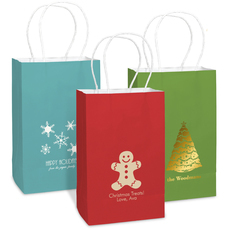 Personalize the boxes with your monogram or initials, a Christmas or holiday design, your family name,..
Personalized petite twisted handled bags are a perfect small gift bag for your Christmas presents for for your hosts or as favor bags. 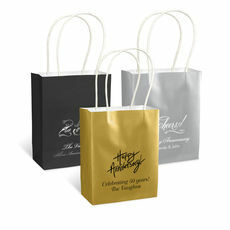 Personalize the bags with your monogram or initials, a Christmas.. 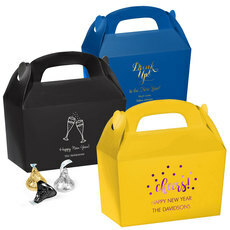 These personalized large favor boxes are great to hold a favor of your choice as a gift to party guests. Boxes are approximately 4.5" x 3" x 2.25" (usable space). 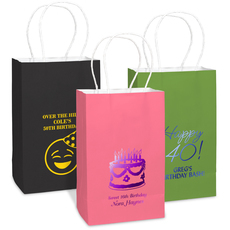 Personalize with a fun New Year's..
Personalized mini twisted handled bags are perfect to hold small gifts or favors for your anniversary party guests. Personalize the bags with a monogram, initial, a standard design and/or a short..
Make sure your gift stands out this holiday season with this set of holiday gift stickers. 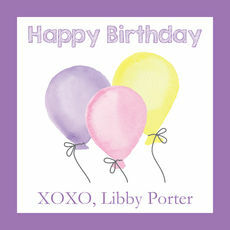 Gift stickers are printed on matte stock. Size 2.5" x 2.5". 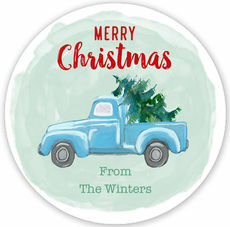 Flat printed in ink color, typestyle and..
Make sure your gift stands out this holiday season with this set of holiday gift stickers. 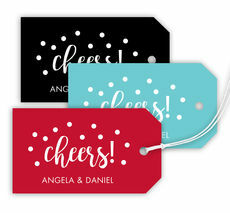 Gift stickers are printed on matte stock. Size 2.5" x 2.5". 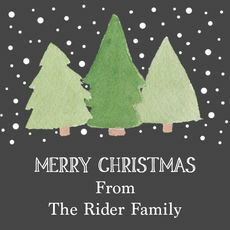 Flat printed in ink colors and..
Make sure your gift stands out this holiday season with this set of holiday gift stickers featuring the beautiful Christmas Tree and Joyeux Noel imprint above your imprint. 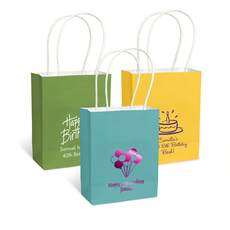 Gift stickers are printed..
Personalized mini twisted handled bags are perfect to hold small gifts or favors for your baby shower party guests. 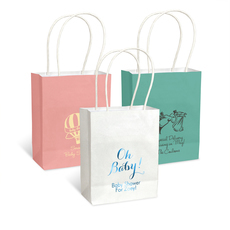 Personalize the bags with a monogram, initial, a standard design and/or a short..
Personalized mini twisted handled bags are perfect for small gifts or favors for your birthday party guests. 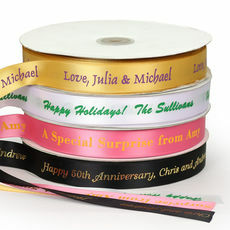 Personalize the bags with your monogram or initials, a birthday design, and/or a short..
Add your personal touch to your gifts with this set of paper gift tags. Sized 2" x 3.5". 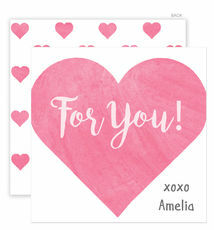 Flat printed in ink color as shown with your choice of typestyles. 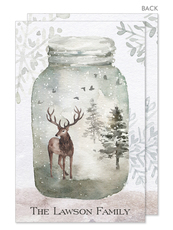 Gift tags come with a full..
Add your personal touch to your holiday gifts with this beautiful set of flat gift enclosure cards complete with a fully designed back. Card size is approximately 2.5" x 3.5". Flat printed.. 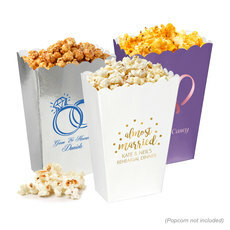 These personalized mini popcorn treat boxes are perfect to serve popcorn or other treats at a candy bar. The boxes have a classic scalloped edge along the top. Personalize the boxes with a wedding..